Ensuring safe food temperatures is always a priority, as foodborne illnesses can be dangerous to anyone who encounters them – but in healthcare settings, unsafe food becomes particularly hazardous or even lethal. Patients at hospitals, assisted living residences, and other short- and long-term care facilities are already in a weakened, vulnerable state. Whether they are suffering from an illness, undergoing immune system-weakening chemotherapy, or members of a susceptible group, healthcare patients must be protected from foodborne illnesses because their natural defenses might be unable to function properly. That means avoiding potentially hazardous foods and making absolutely certain that any served food is cooked thoroughly and stored at safe temperatures until it's eaten. The chief concern of any healthcare foodservice program is safety, but the specifics of a healthcare setting make this much harder than it would be for a restaurant or hotel. The sheer number of patients in a hospital or long-term care facility can be daunting, and healthcare facilities have a traffic jam of other responsibilities that must be taken care of in conjunction with serving food. Often, foodservice is handled by nurses in between their other responsibilities. Meals don't always reach their patients in a timely manner, and unexpected delays can expose food to unsafe temperature ranges for extended periods of time. Properly cooked food can become dangerous again if left unrefrigerated or unheated for a significant time. Fortunately, the solutions below are designed to address healthcare food safety issues. 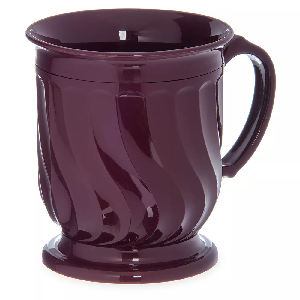 Insulated servingware traps heat inside, keeping foods at a safe temperature for long periods of time. Maintaining proper temperatures prevents foodborne bacteria from growing, and insulated servingware can keep your cold foods cold and your hot foods hot. Induction systems are a step beyond insulated servingware in that the induction base actually provides heat over time. 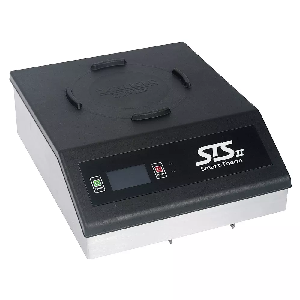 After being charged at a charging station, the induction base can generate enough heat to keep food warm for over an hour, depending on the specific model you use. Like warming tables at a buffet, this ambient heat prevents bacteria from growing in the food before it's consumed. With your heat-retention system in place, it's time to take those meals to patients. Meal delivery carts store cooked meals and aid operators in transporting the meals up and down the hallways of a healthcare facility. 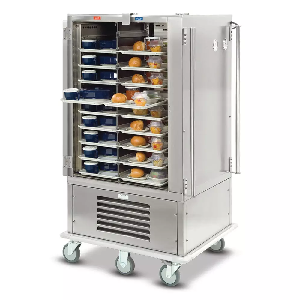 Most delivery carts are not insulated, as a fully insulated cart would be holding both cold and hot food and would interfere with their normal temperatures. 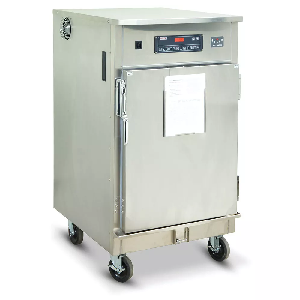 However, insulated equipment can be used in conjunction with delivery carts to hold the final product at the right temperature. Rethermalization systems, also known as cook/chill systems, are an alternate route to ensuring healthcare food safety. Cook/chill systems refrigerate food immediately after it's cooked and then reheat it right before the food is given to the patient. This keeps food out of the "danger zone", which is between 41 and 135 degrees Fahrenheit. Staying in a hospital is not nearly as enjoyable as staying at a nice hotel, but there are similarities. Patients want a meal that is served at an appropriate temperature, delivered promptly, and prepared well. Well-handled mealtimes are a strong way to improve a healthcare establishment's survey scores, but more than that, good meals improve patient outcomes. Uncomfortable surroundings – Patients feel uneasy in strange places, and this discomfort can decrease appetite. Medication – Many medications suppress a patient's appetite or cause discomfort that leads a patient to lowered appetite. Changed Diet – Patients may be placed on a restricted diet by their doctor, and because of that, might have to eat foods they don't like. Eating well plays a vital role in a patient's overall health. Patients cannot recover from surgery, fight off infection, or complete physical therapy if their bodies are not well-fueled. The job of healthcare foodservice, then, is to provide safe meals that patients will eat, and maintaining safe food temperatures contributes to patient meal compliance. If patients receive their meals while the meals are still the appropriate temperature, they are more likely to eat well (after all, who wants a congealed bowl of soup?). Finding the appropriate equipment to maintain food temperatures in a healthcare setting can be a headache, but providing patients with a hot meal makes a big difference in many ways. Keeping meals at the right temperature is vital for food safety in hospitals, nursing homes, and other healthcare settings, and meals that retain their ideal temperature are also more likely to be eaten, which improves overall patient health. Help your patients get well and stay well by maintaining appropriate food temperatures throughout the course of service.